In 2017, Tait Gamble, a then-17-year-old high school student, began research for a program that would supply free pads and tampons within her school. Upon discovering The Period Purse®, Tait began running product drives, and launched Menstruation Nation as a way to reduce the stigma around menstrual health. In 2018, Tait won two graduating awards for leadership and community service. As a result of her commitment, Menstruation Nation continues to expand into schools across Ontario, educating high school students about period health and wellness. The Period Purse® is spreading our education program, Menstruation Nation to more high schools across Ontario. Are you a middle or high school student? Are you a teacher who wants to lead this group in your school? Start the menstruation conversation and help us reduce the stigma around periods. 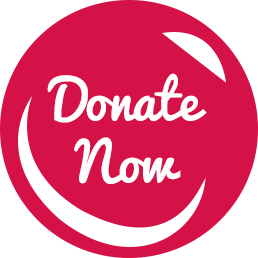 Donate to others in your community who need free menstrual products. Together we will help to end period poverty. To begin a chapter of this menstrual movement in your school, please contact Tait@theperiodpurse.com. We will send you a copy of our handbook*, with tips for getting started. *A $15 suggested donation is requested for the handbook, to cover costs and increase our ability to further the program. We believe in educating the next generation in building Menstruation Nation in order to reduce the stigma around periods.